On Sunday 4th June 1967, guitarist Jimi Hendrix paid the ultimate compliment to The Beatles by performing the title track from their ‘Sgt. Pepper’s Lonely Hearts Club Band’ album live just three days after its release. Paul McCartney and George Harrison were in the audience that day as The Jimi Hendrix Experience headlined the bill at London’s Saville Theatre. 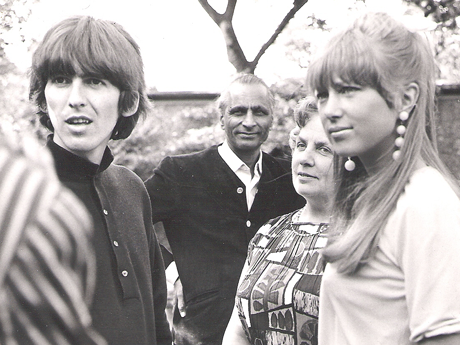 Paul was a particular admirer, and accompanied by Ringo, had previously seen Jimi perform at the Bag O’Nails Club in London on 11th January. “Jimi was a sweetie, a very nice guy. I remember him opening at the Saville on a Sunday night, 4th June 1967. Brian Epstein used to rent it when it was usually dark on the Sunday. Jimi opened, the curtains flew back and he came walking forward, playing 'Sgt. Pepper', and it had only been released on the Thursday so that was like the ultimate compliment. It's still obviously a shining memory for me, because I admired him so much anyway, he was so accomplished. To think that that album had meant so much to him as to actually do it by the Sunday night, three days after the release. He must have been so into it, because normally it might take a day for rehearsal and then you might wonder whether you'd put it in, but he just opened with it. It's a pretty major compliment in anyone's book. I put that down as one of the great honours of my career. 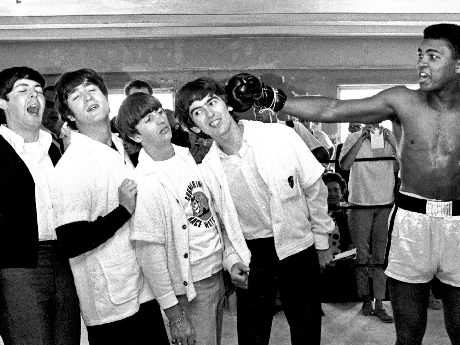 I mean, I'm sure he wouldn't have thought of it as an honour, I'm sure he thought it was the other way round, but to me that was like a great boost.” – Paul McCartney. 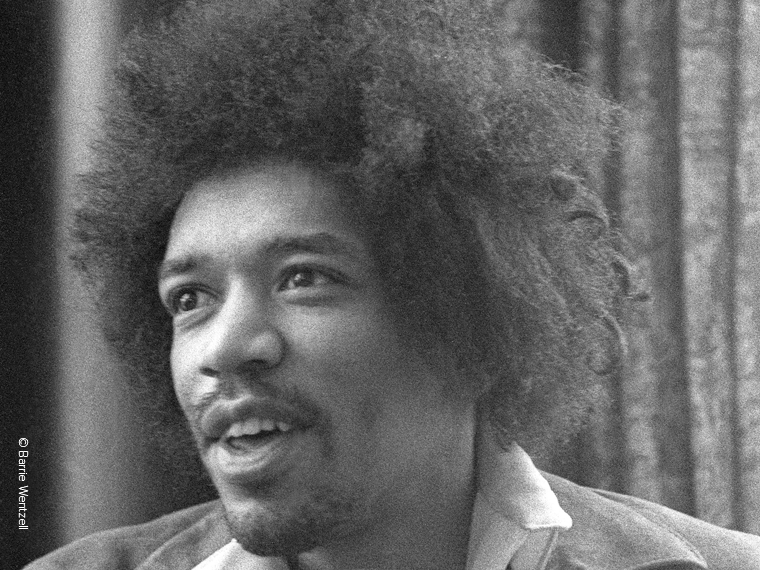 Jimi was first bought to the UK capital city by manager Chas Chandler in September 1966, and quickly established himself a reputation as a spectacular live performer, based on this intensive period of playing in London clubs, as well as other venues across the UK. This coupled with the success of his first two single releases, Hey Joe (December 1966) and Purple Haze (March 1967), and his first album with the Jimi Hendrix Experience, Are You Experienced? (May 1967), led Jimi to Worldwide fame. After spending much of 1968 recording and touring in the USA, Hendrix returned to London, moving into an upstairs flat in 23 Brook Street which his then girlfriend Kathy Etchingham had rented for them that summer. For the next three months Hendrix used the flat as his base, giving interviews there, writing new songs, and preparing for his February concerts at the Royal Albert Hall. 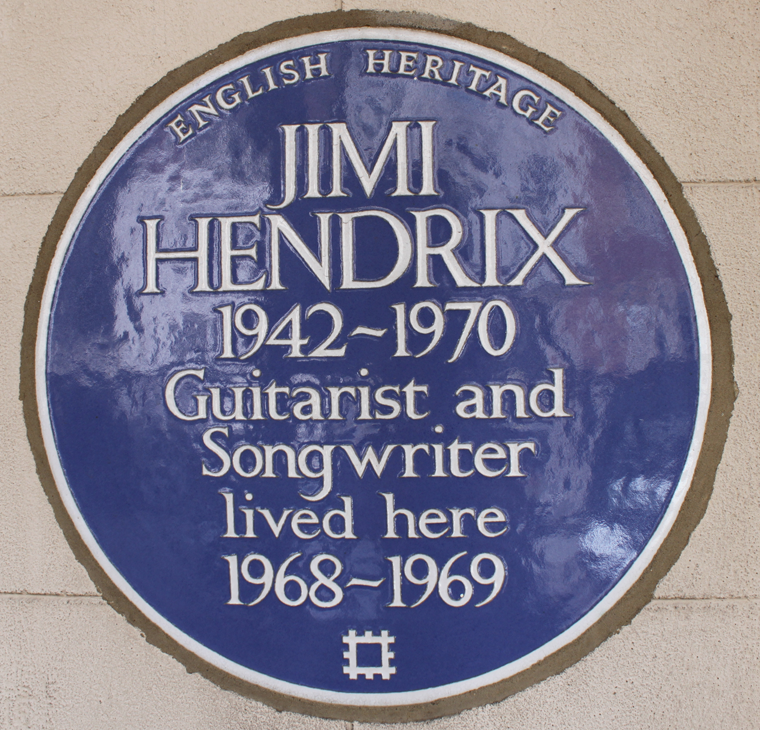 For Hendrix, Brook Street was the doorstep to the London music scene of the late 60s. His flat was a short stroll from legendary venues like the Marquee, the Speakeasy and The Scotch of St James and he would spend many evenings wandering from club to club looking for a chance to play. On 14 September 1997, 23 Brook Street was chosen for an English Heritage Blue Plaque commemorating his life and work. 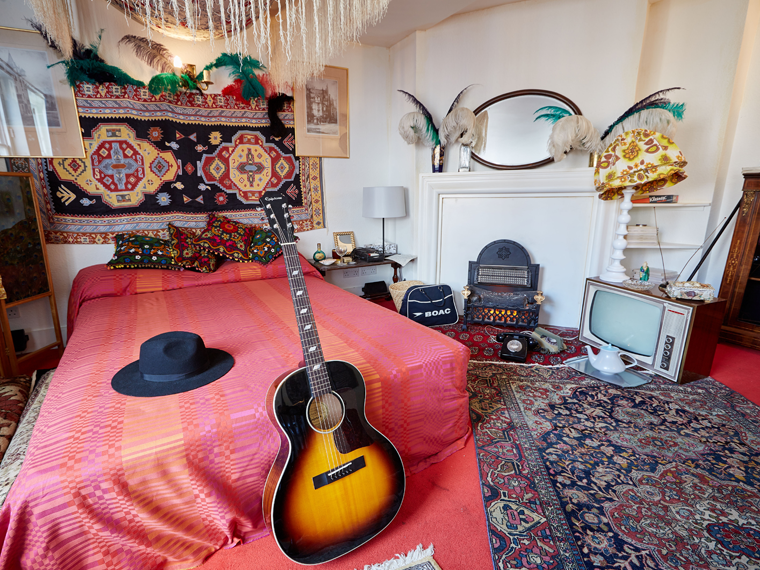 It is the only officially recognised Hendrix residence in the world and is now open to the public at handelhendrix.org. Jimi Hendrix Experience memorabilia also features within our special exhibition ‘The British Invasion: How 1960s beat groups conquered America’. 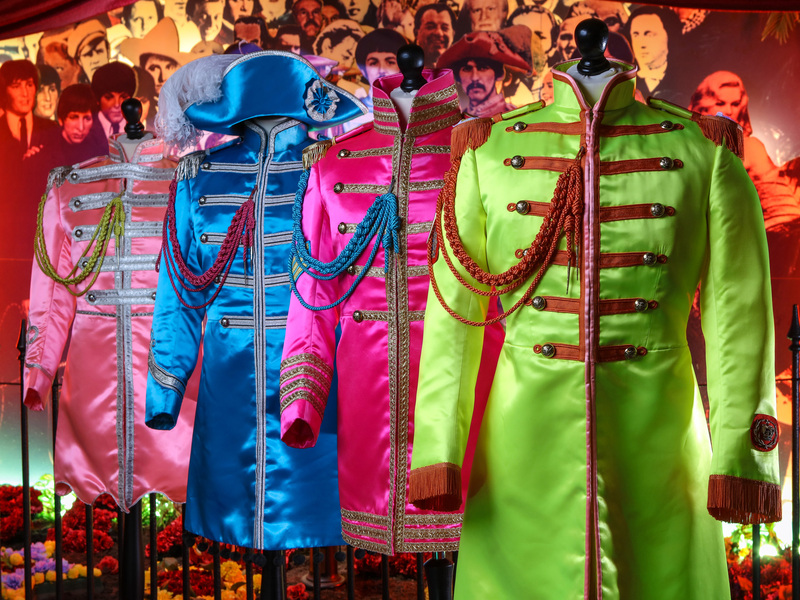 Co-curated by the established GRAMMY Museum, L.A., the exhibition features memorabilia never been seen outside of the USA and looks predominantly at the wave of British artists that took over the Billboard Top 100 in the 1960s and 1970s.